Well…. it’s official. After nearly 20 years of advocating and training civilians to engage in proactive, options-based strategies rather than following passive and static response recommendations when facing extreme violence, proactive, options-based response has now been confirmed to work in a scientific study. Dr. Cheryl Jonson, Dr. Melissa Moon, and Joseph Hendry’s recent study, “One Size Does Not Fit All: Traditional Lockdown Versus Multi-Option Responses to School Shootings,” was published in the Journal of School Violence. This independent, peer-reviewed study was constructed from data collected at 13 different ALICE Instructor Courses conducted around the country and involved 326 participants. The participants were both law enforcement and non-law enforcement personnel with almost an exact 50/50 percentage split. The purpose of the research was to determine differences in both the average length of the event and the survivability of the event based on proactive versus passive responses. 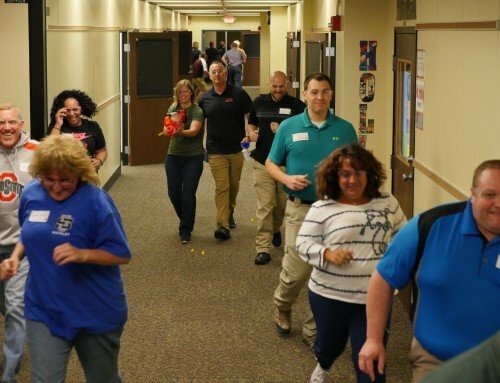 The study was conducted by the participants using their lockdown response knowledge when responding to violence simulations pre-ALICE training and then repeating the simulations post-ALICE training. This research confirmed what we have known for years. 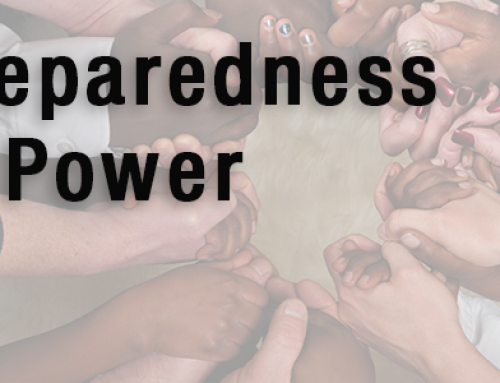 When people are empowered, authorized and trained to respond themselves when facing imminent threats, the survival outcomes are vastly better than when they sit quietly hoping a locked door will keep the bad guy out, or that law enforcement will get there fast enough to help them. Both of these “hopes” have proved futile in many tragedies, yet so many entities and security professionals continue to promote Securing-in-Place as the best, and in some cases, the only, response to danger. Will this scientific study change their mind? Probably not. Having fought this fight for nearly 20 years, I can give two primary reasons: Change and Ego. Lockdown became the standard of care post-Columbine. Frankly, because the wrong folks were put in charge of trying to find a solution to the problem. At the time of Columbine, lockdown already existed. It grew out of the need to secure neighborhood schools during the drug gang shoot-outs of the ’70s and ’80s. 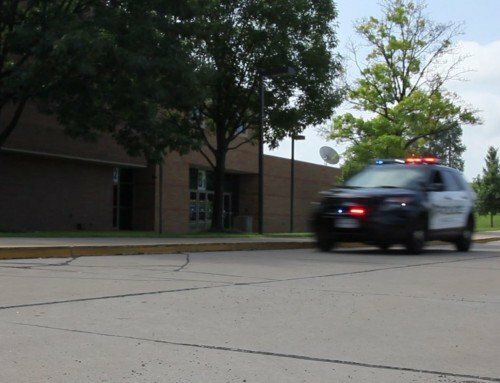 Since it was a protocol developed to protect against shootings, it quickly became the standard nationally in the ’90s when a growing need for active shooter policies occurred. There was a problem with this adoption, however. Lockdown was developed only to address shootings occurring outside the school building, not inside. The shootings in the ’90s were not drug gangs shooting it out between themselves in the streets. These shooters were typically one of their own, shooting at their fellow classmates, inside the room. Securing-in-Place for those under immediate threat did/does not even apply. The recommendation was wrong. However, due to nobody telling them it was wrong, many of the security professionals and many schools invested heavily in both their reputations and their responsibilities in adopting lockdown as their response choice to extreme danger. When ALICE came along and said there are going to be times when that response isn’t the best option, they had to make a choice: Agree or disagree to change? Many have change, but others still do disagree with this change. It’s because change is hard. Change means new and different. It means more work, more time, more resources. All things in short supply, especially for schools. But in some cases, change is a necessity. For these events, it would seem obvious that this is one of those times. That brings us to the other reason: ego. Some had their signatures at the bottom of policy and procedures pages, and they would now have to admit that their previous position was wrong. Others, would have to admit that the expert advice they had provided numerous entities for years, had been charging fees for that advice, would also have to admit there was a need to do more. For this group, the admission of the need to change is too great for their egos. They just can’t do it. I thought in 2008 after the DHS released the 3 Out’s, the era of lockdown was over. I thought after 2013 and the release of Run, Hide, Fight that lockdown was done. After all the recent events, including now numerous events where ALICE-trained citizens, have ended the danger far quicker than the law enforcement response, and with far fewer causalities than in other events where passive response yielded incredible tragedy, I thought surely traditional lockdown is done. But it’s still here. Some security professionals still promote lockdown as the best practice for extreme violence. Securing-in-Place is only viable for those not in contact with the determined killer. To claim otherwise is dangerous. Many times, these lockdown supporters will claim that a locked door has never been breached in a classroom shooting. This is a very nuanced claim. At Sandy Hook, the secured front entrance was breached, and we know the devastating outcomes of staff and students killed. But these same professionals will argue that technically the classroom door didn’t fail. At Red Lake High School, the glass beside the secured classroom door was breached and staff and students were killed… but it was the glass not the classroom door these professionals claim. At Hastings Middle School, the wanna-be shooter broke through 3 secured classroom doors and attempted to kill 3 teachers but had loaded the wrong ammunition in the weapon and therefore 3 misfires… but nobody was killed the professional claims. Of course, they fail to address all the events where a locked door didn’t even exist. These attempts at trying to salvage their reputations must be seen for what they are; Ego before Safety. Well, it’s no longer an opinion on whether lockdown should stand alone as a one-size fits all plan and procedure. This scientific, peer-reviewed study shows it is not the best option. Will that be enough to complete the change? Time will tell.